It’s been five years since Soul Embraced released Dead Alive. Dead Alive was a masterpiece. Technically appealing with lots of great melodies fueled by anger driven lyrics. But it also marked the end of a chapter. Lance Garvin would step down as the band’s drummer to focus on Living Sacrifice and Rocky Gray would give up guitar duties and become the band’s new drummer. It also marked the end of the band’s relationship with Solid State Records. New era, a new label, and a new record that took far too long to see the light of day. But Soul Embraced, with the the help of Kickstarter and Rottweiler Records, have finally given us the long awaited follow-up to Dead Alive, Mythos. There’s a tinge of disappointment when I listen to Mythos. Just a tinge. The melodies from Dead Alive are gone and I do miss Rocky Gray’s guitar work. (Thank goodness there’s a new Living Sacrifice record coming out this year). A lot of what I loved about Dead Alive isn’t on Mythos. 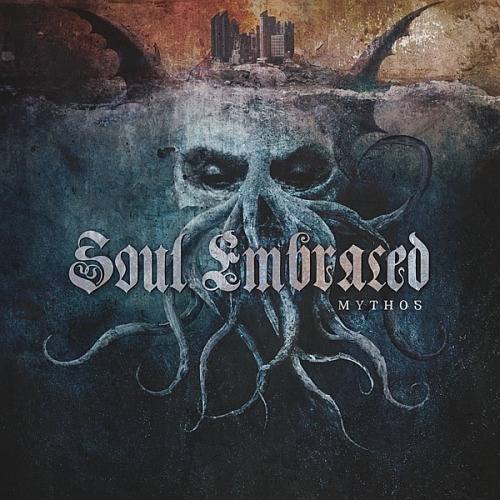 And a lot of why I was never a huge Soul Embraced fan from their earlier records, is back on Mythos. Mythos is a brutal, punch you in the face metal record. There’s more blast beats on Mythos than on any other Soul Embraced record. Transhuman features guest vocals by Bruce Fitzshugh and it’s my favorite track on the record. Mythos is a top to bottom, solid record. The songs are heavy. I think Soul Embraced fans will absolutely love this record. It’s more of a throwback to Immune and This is My Blood. More death metal. I just thought Dead Alive was this grand next step for Soul Embraced and Mythos just doesn’t live up to that record. Not that it should, but as a personal preference, I wish Mythos had been more like Dead Alive. Regardless of my personal wants and opinions, Mythos is still an excellent death metal record that Soul Embraced fans will love.